Here is the list of the hotels near Bonnes. Book your hotel near Bonnes today, Thursday 16 May for the best price, reservation and cancellation free of charge thanks to our partner Booking.com, leader in on-line hotels reservation. Below here is the list the 50 closest hotels of Bonnes, sortable according your criteria. You will find the position of these accommodations on the Bonnes hotels map. Offering a casino and barbecue facilities, Logis Du Parc is situated in Chauvigny, less than 1 km from The Giants of the Sky. Housed in a building dating from 1938, the holiday home is in an area where guests can engage in activities such as fishing and hiking. The holiday home is composed of 1 bedroom, a living room, a fully equipped kitchen, and 1 bathroom. A flat-screen TV with cable channels and a DVD player are provided. The reception can provide advice on the area in order to help guests plan their day. The holiday home offers a sun terrace. A bicycle rental service is available at Logis Du Parc. The nearest airport is Poitiers-Biard Airport, 29 km from the accommodation. Set in Chauvigny, Hôtel Le Lion d'Or provides a terrace and free WiFi throughout the property. This 3-star hotel offers on-site dining. Guests can enjoy city views. All guest rooms in the hotel are equipped with a flat-screen TV with satellite channels. The rooms are fitted with a private bathroom and free toiletries. All units feature a desk. A continental breakfast is available every morning at the property. Free private parking is available upon prior reservation. Poitiers and Chasseneuil-du-Poitou are both 23 km from Hôtel Le Lion d'Or. The nearest airport is Poitiers Airport, 26 km from the property. Located within 800 metres of The Giants of the Sky in Chauvigny, Tour Duguesclin features accommodation with free WiFi, a seating area, a flat-screen TV and a kitchen. All units are fitted with an oven, microwave, a coffee machine, a toaster and kettle. There is a fully equipped private bathroom with shower and a hair dryer. Poitiers-Biard Airport is 30 km away. Located in Chauvigny, Hotel Beauséjour is set in a bourgeois house from 1883. It offers a bar, a restaurant that serves traditional dishes and a garden. A satellite TV is provided in the en suite rooms. Rooms at Hotel Beauséjour have a telephone, a shower and toilets. Guests can also request free Internet access. A continental breakfast is available every morning and can be brought to the comfort of your room. It is 12 km from Abbaye Saint-Savin and 22 km from Poitiers and its train station. The Futuroscope Attraction Park is 25 km away. La Pomme d’Or offers vacation homes located in La Chapelle Moulière. They are set in an 18th-century farm with a large garden, an outdoor pool, several patios and barbecue areas. At La Pomme d'Or, guests can find a seating area with a fireplace and free WiFi access is available. Each accommodation also has a bathroom with a shower. Bed linen and towels are provided. Guests can prepare their meals in a fully equipped kitchen with a dishwasher and a microwave. Breakfast can be prepared at an extra cost. At La Pomme d'Or, there is also barbecue facilities and a children’s playground. Cycling, horse riding and fishing can be enjoyed nearby. Poitiers Train Station is a 30-minute drive away. The property offers free parking. La Maison Rouge is set in Chauvigny. Featuring a shared kitchenette with a microwave, this property also provides guests with a children's playground. Free WiFi is available and free public parking can be found on the streets nearby. Certain rooms are equipped with a kitchenette with a microwave. The daily breakfast offers continental and organic products. The eco-friendly bed and breakfast offers a sun terrace. Poitiers and the Futuroscope are 24 km from La Maison Rouge, while Chasseneuil-du-Poitou is 23 km away. Montmorillon is 25 km from the property and Saint-Savin is a 17-minute drive from La Maison Rouge. The nearest airport is Poitiers-Biard Airport, 26 km from the accommodation. Offering a sun terrace and views of the garden and the medieval city, Chambres D'hôtes Bel'vue is set in Chauvigny in the Poitou-Charentes Region, 24 km from Poitiers. Free WiFi is featured and free private parking is available on site. Restaurants can be found within a 7-minute walk. Chasseneuil-du-Poitou is 23 km from Chambres D'hôtes Bel'vue, while Futuroscope Theme Park is a 30-minute drive. Situated in Chauvigny, 6 km from The Giants of the Sky, The Wild Seeds offers free WiFi. Units feature a fully equipped kitchen with an oven, microwave, coffee machine and kettle. Some units are air conditioned and include a seating area with a flat-screen TV. A continental breakfast is served daily at the property. The bed and breakfast offers an outdoor pool. Guests at The Wild Seeds can enjoy table tennis on site, or cycling in the surroundings. The nearest airport is Poitiers-Biard Airport, 31 km from the accommodation. Located in Bignoux, LOGIS du Château du Bois Doucet offers free WiFi, and guests can enjoy free bikes and a tennis court. A terrace with garden views is offered in each unit. A continental breakfast is served every morning at the property. Guests at the bed and breakfast can enjoy cycling nearby, or make the most of the garden. Poitiers is 15 km from LOGIS du Château du Bois Doucet, while Chasseneuil-du-Poitou is 14 km away. The nearest airport is Poitiers-Biard Airport, 20 km from the property. Set in Bonneuil-Matours, Chateau Marieville offers a seasonal outdoor swimming pool and garden. The property is 15 km from Futuroscope themed park. At the guest house, all rooms are equipped with a desk. Rooms come with a private bathroom with a shower. All guest rooms have a wardrobe. A continental breakfast is served every morning at the property. Guests at Chateau Marieville will be able to enjoy activities in and around Bonneuil-Matours, like hiking. 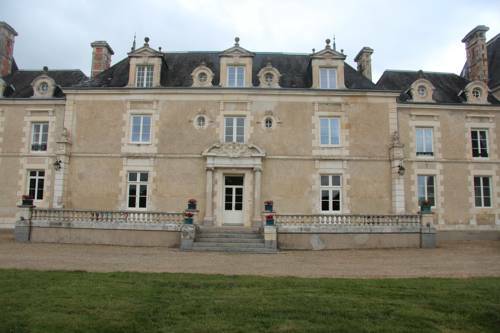 Poitiers is 21 km from the accommodation, while Chasseneuil-du-Poitou is 16 km from the property. Les Chalets du Grand Recoin offers accommodation in Montamisé, 13 km from Poitiers and from Futuroscope. Guests have access to a heated seasonal outdoor pool and children's playground with a swing, slides and a sandbox. Free WiFi is available in the reception area. All 14 units have a flat-screen TV. Some units feature a dining area and/or terrace. There is also a kitchenette, fitted with a microwave, fridge and stovetop. The property offers a boules court and a badminton net. An array of activities are offered in the area, such as hiking or cycling. Guests can also enjoy walks in the nearby forest. Chasseneuil-du-Poitou is 9 km from Les Chalets du Grand Recoin, while La Roche-Posay is 30 km from the property. The nearest airport is Poitiers Airport, 15 km from Les Chalets du Grand Recoin. This 16th-century manor house in Tercé offers well-equipped apartments and boasts a spa and an outdoor swimming pool. The Futuroscope theme park and Poitiers are 25 minutes away. Domaine du Normandoux - The Originals Human Hotel & Resorts has a peaceful location, surrounded by a beautiful forest and a lake and just 21 km from the Poitiers Airport. The manor house has a private terrace and combines traditional decor with modern facilities including free WiFi internet access. In the morning, guests can enjoy a buffet breakfast served in the property's breakfast room. Guests planning to explore the Poitou-Charentes region by car will be pleased to know that free private parking is provided is at Domaine du Normandoux - The Originals Human Hotel & Resorts. Bike rental is also available and it is free for children. Offering a bar, a traditional restaurant and a terrace with views of Vienne River, Hotel de la Plage is located 27 km from Poitiers. Wi-Fi access and meeting facilities are available. The bedrooms feature a TV and an en suite shower room. All rooms have a view onto Vienne River. At Hotel de la Plage, the continental breakfast consists of croissants, bread, jams, hot beverages and orange juice. An array of activities can be enjoyed on site or in the surroundings, including cycling, hiking and billiards. The property offers free parking. Bed and Breakfast Vouneuil-sur-Vienne Preferred hotel ! Chambres d'hôtes la Pocterie sits is a well-kept garden 16 km from Chatellerault Train Station and a 20-minute drive from Futuroscope. It features an outdoor swimming pool, a terrace and free Wi-Fi throughout. The rooms at Chambres d'hôtes la Pocterie have a garden view, individual heating and a wardrobe. The private bathrooms include free toiletries and a shower. A continental breakfast is served daily and free parking is provided on site making the B&B an ideal base from which to explore the Poitou-Charentes region by car. Golf du Haut-Poitou is a 10-minute drive away. Offering a terrace and views of the garden, La glycine is situated in Montamisé. Free WiFi is available throughout the property and free private parking is available on site. Each room is equipped with a flat-screen TV. Rooms are fitted with a private bathroom. For your comfort, you will find free toiletries and a hairdryer. You will find a shared lounge at the property. Homemade evening meals are available upon request and at an extra cost. Poitiers is 10 km from La glycine, while Chasseneuil-du-Poitou is 6 km away. The nearest airport is Poitiers Airport, 11 km from La glycine. L'escale is a holiday home with a barbecue, set in Montamisé. Guests benefit from free WiFi and private parking available on site. An oven and a microwave can be found in the kitchen. A flat-screen TV is provided. Other facilities at l'escale include a terrace. Poitiers is 9 km from l'escale, while Chasseneuil-du-Poitou is 6 km away. Château de Vaumoret is located in Poitiers, 5 km from Poitiers Exhibition Centre and features a seasonal outdoor swimming pool. Located around 11 km from Futuroscope Theme Park, the bed and breakfast is also 9 km away from Poitiers CHU. At the bed and breakfast, rooms include a desk and a TV. The private bathroom is fitted with a bath. A continental breakfast with local products is available daily at the property. A table tennis table and outdoor furniture are at guests' disposal. The nearest airport is Poitiers Airport, 9 km from the property. Free private parking is provided. Le refuge du Pinail is set in Vouneuil-sur-Vienne, 20 km from Poitiers. Free WiFi is featured throughout the property and free private parking is available on site. Enjoy a cup of coffee while looking out at the lake or garden. Each room comes with a private bathroom equipped with a shower. The room has access to a kitchen. Haut-Poitou golf course and Saint-Cyr lake are both 5 km from the property and Chasseneuil-du-Poitou and Futuroscope park are 13 km from Le refuge du Pinail. La Roche-Posay is 24 km away. Poitiers Airport is 21 km from the property. Maison du Bourg is a two-bedroom house located in Monthoiron, 10 km from Chatelleraut. It has a private outdoor swimming pool and a garden with terrace. The house features a seating area with a sofa and a TV, and a kitchen with dining table, tea/coffee making facilities, refrigerator, microwave, stove, oven, kitchenware and dishwasher. The bathroom has a sink and a shower. The Futuroscope theme park is located 20 km from Maison du Bourg and Poitiers Airport is 30 km away. The property offers free parking. Guest accommodation Chenevelles Preferred hotel ! Situated in Chenevelles, Jardins de la Dame Blanche offers accommodation with a terrace, kitchen and free WiFi. All units are fitted with an oven, toaster, a coffee machine, a fridge and kettle. Some units have a seating area and/or a patio. A vegetarian breakfast is served daily at the property. The country house offers a barbecue. Cycling can be enjoyed nearby. Poitiers is 38 km from Jardins de la Dame Blanche, while Chasseneuil-du-Poitou is 35 km away. Poitiers-Biard Airport is 52 km from the property. Featuring barbecue facilities, Holiday home Lieu Dit La Fontaine offers accommodation in Chenevelles with free WiFi and garden views. The accommodation is 38 km from Poitiers. This 2-bedroom holiday home comes with a seating area, a TV and a kitchen with a dishwasher. Chasseneuil-du-Poitou is 35 km from the holiday home, while La Roche-Posay is 14 km away. The nearest airport is Poitiers-Biard Airport, 52 km from the property. Situated in Montamisé, 6 km from Poitiers, Domaine des Tilleuls features a seasonal outdoor pool and barbecue. Chasseneuil-du-Poitou and Le Futuroscope theme park are 4.1 km away. Free WiFi is available throughout the property and free private parking is available on site. The accommodation is equipped with a TV. There is also a kitchen, equipped with a dishwasher and oven. A microwave, a toaster and fridge are also provided, as well as a coffee machine. Domaine des Tilleuls also includes a hot tub and sun terrace. La Roche-Posay is 36 km from Domaine des Tilleuls. Featuring a terrace with garden views, Jolie petite maison en pierre is a holiday home, located in Montamisé, 4 km from Futuroscope. It provides free private parking. The kitchen features a dishwasher, a microwave and a toaster, as well as a coffee machine. Towels and bed linen are provided at Jolie petite maison en pierre. Other facilities at Jolie petite maison en pierre include a hot tub and seasonal outdoor pool. Poitiers is 6 km from Jolie petite maison en pierre, while Chasseneuil-du-Poitou is 4.1 km away. The nearest airport is Poitiers Airport, 8 km from Jolie petite maison en pierre. Boasting barbecue facilities and a garden, La Maison Ronde offers accommodation in Monthoiron with access to free WiFi and garden views. Featuring a terrace, the holiday home is in an area where guests can engage in activities such as cycling and hiking. This 5-bedroom holiday home includes 2 bathrooms equipped with a shower and a hair dryer. A flat-screen TV is available as well as a fully equipped kitchen. A continental breakfast is served each morning at the property. The holiday home offers a terrace and a barbecue. Guests can also relax in the shared lounge area. Poitiers is 28 km from La Maison Ronde, while Chasseneuil-du-Poitou is 21 km away. The nearest airport is Poitiers Airport, 29 km from the property. A private parking is available. Hotel Mignaloux-Beauvoir Preferred hotel ! Garrigae Manoir de Beauvoir is located next to the Mignaloux Golf Course, 10 km south-east of Poitiers. It offers soundproofed accommodation and a heated, outdoor swimming pool. The rooms at Garrigae Manoir de Beauvoir are equipped with air conditioning, satellite TV and a private bathroom. Some rooms have a private terrace with views of the pool or the orchard. Guests can enjoy traditional cuisine at Garrigae Manoir de Beauvoir. There is also a bar and table tennis. This hotel provides a 24-hour front desk. Free parking is available on site and the Futuroscope theme park is 20 km away. ACE Hôtel Poitiers is located just 6 km south of the city centre and next to the university hospital. It features a 24-hour reception free private parking and free Wi-Fi access. The rooms at ACE Hôtel Poitiers are decorated in a contemporary style and feature a flat-screen TV with Canal+ channels. Each one also has an en suite bathroom with free toiletries and a hairdryer. After enjoying the buffet breakfast, you may decide to visit the congress centre or Futuroscope, which are both 15 km away. The property is also ideally located next to the E62 motorway. Situated in La Chapelle-Viviers within 8 km of Crocodiles Planet, Camping du Mouchet features accommodation with seating area and a kitchen. Free WiFi is available. A microwave, a fridge and stovetop are also offered, as well as a coffee machine. Poitiers-Biard Airport is 42 km from the property. Hotel The Originals Pigeonnier du Perron is set in a renovated 15th-century seigneury, which was owned by the French philosopher René Descartes. It features a heated outdoor pool and a vegetable garden, and Châtellerault is 15 minutes' drive away. A flat-screen TV is provided in each of the individually decorated rooms. Most of the rooms and suites offer free Wi-Fi access. Some rooms feature exposed beams and stone walls. A 3-course set menu, made with organic produce, is served in the restaurant at Hotel The Originals Pigeonnier du Perron and a reservation must be made at least 24 hours in advance. A buffet breakfast is prepared every morning. Futuroscope Theme Park is located just a 25-minute drive away. Free public parking is provided and you can rent a bicycle on site before exploring the local area. Guest accommodation Chasseneuil-du-Poitou Preferred hotel ! With garden views, Sweet Cosy Home is located in Chasseneuil-du-Poitou and offers accommodation with a kitchen. Complimentary WiFi is provided and free private parking is available onsite. Featuring a terrace, some units feature a dining area and a seating area with a flat-screen TV. A dishwasher and oven are also offered, as well as a coffee machine and a kettle. Each holiday home has a barbecue. Guests can relax in the garden at the property. Futuroscope - Main Entrance is 1.3 km from Sweet Cosy Home. Poitiers-Biard Airport is 10 km away. Chateau Du Clos is set within a large park on the banks of the River Clain, 8 km from central Poitiers and Futuroscope Theme Park. Guests enjoy free access to the outdoor swimming pool. A wellness centre with a hot tub, a sauna and a fitness room is also available at a surcharge. This 18th-century chateau provides guest rooms equipped with a private bathroom, satellite TV and free WiFi internet access. Some rooms have air conditioning. The hotel’s restaurant, Le Close de la Ribaudiere, serves traditional French cuisine and in summer guests can dine on the terrace overlooking the park. Chateau Du Clos De La Ribaudiere is 9 km from the Poitiers TGV high-speed train station, providing connections to Paris in 80 minutes. Free public parking is available for guests arriving by car. Hotel Dienné Preferred hotel ! Featuring a seasonal outdoor swimming pool and BBQ facilities, as well as a restaurant, Hôtel - DéfiPlanet' is set in Dienné. The property has a garden, as well as a shared lounge. The hotel offers an indoor pool and free WiFi. At the hotel, the rooms have a desk and a flat-screen TV. At Hôtel - DéfiPlanet', every room has a seating area. A continental breakfast is served each morning at the property. The accommodation offers a children's playground. A range of activities are offered in the area, such as cycling and hiking. Planet Challenge is 500 metres from Hôtel - DéfiPlanet'. The nearest airport is Poitiers-Biard Airport, 32 km from the property. Offering a terrace and views of the garden, Château de la Guillonnière is located in Dienné in the Poitou-Charentes Region. Poitiers is 19 km away. There is a seating and/or dining area in some units. There is also a kitchenette in some of the units, equipped with a microwave. There is a private bathroom with a bath or shower and free toiletries in every unit. Towels are provided. Chasseneuil-du-Poitou is 24 km from Château de la Guillonnière, while La Roche-Posay is 44 km from the property. 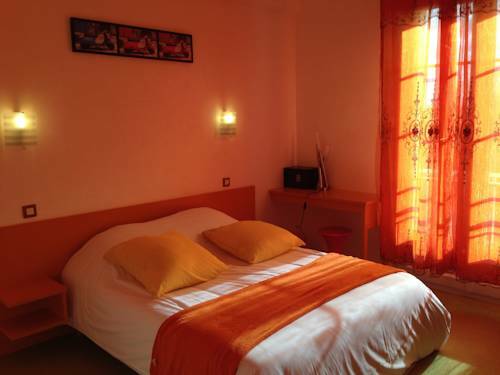 Set in Mongauérand, La Faye features accommodation with a flat-screen TV. Free WiFi is provided. Some units also have a kitchen equipped with a dishwasher. A continental or buffet breakfast can be enjoyed at the property. The bed and breakfast offers a seasonal outdoor pool. A sun terrace can be found at La Faye, along with a shared lounge. Poitiers is 44 km from the accommodation, while Chasseneuil-du-Poitou is 46 km away. Poitiers-Biard Airport is 48 km from the property. The Quick Palace is a budget hotel, situated a 15-minute walk from the Futuroscope Theme Park in Poitiers. It offers comfortable rooms featuring a flat-screen TV with Satellite channels. The guest rooms at Quick Palace Poitiers feature carpeted flooring and are equipped with free Wi-Fi Internet access. Each room has a private bathroom with tiled flooring. Guests can choose to take advantage of the continental breakfast buffet, served every morning in the breakfast room. For guests arriving by car, the Quick Palace is accessible by the A10 motorway and is only 750 metres from the D20 road. Free private parking is available on site. There is also a shopping centre only 3 minutes away from the hotel by car. Featuring free WiFi, B&B Hôtel Poitiers 1 Futuroscope offers accommodation in Chasseneuil-du-Poitou, 1.3 km from Futuroscope - Main Entrance. This property is located a short distance from attractions such as Futuroscope. The rooms are equipped with a flat-screen TV with cable channels. At the hotel, rooms are equipped with a desk. The private bathroom is equipped with a shower. A buffet breakfast can be enjoyed at the property. The nearest airport is Poitiers-Biard Airport, 11 km from the property. Hotel Chasseneuil-du-Poitou Preferred hotel ! Situated north of Poitiers, with easy access from the E05/A10 motorway and the N10 national road, Premiere Classe Poitiers Futuroscope - Chasseneuil is a short drive from the Futuroscope multimedia theme park. All rooms at Premiere Classe Poitiers Futuroscope - Chasseneuil present cosy and functional spaces. They have a TV with Canal+. Guests can purchase pizzas, picnics or snacks to be enjoyed onsite or as take away meals. Free parking is available on site. Other facilities include a 24-hour front desk. Quality Hotel Alisée Poitiers Nord provides en suite accommodation just 2.5 km from the Futuroscope theme park. It has an outdoor swimming pool in a large garden. Guest rooms are air-conditioned and equipped with a flat-screen TV with satellite channels and a private bathroom. Wi-Fi access is available. A buffet breakfast is served every day and includes both hot and cold food. The hotel is easily accessible by car from the A10 motorway and offers free on-site parking. Offering free WiFi, B&B Hôtel Poitiers 2 Futuroscope offers accommodation in Chasseneuil-du-Poitou, 400 metres from Futuroscope - Main Entrance and 12 km from Poitiers. All rooms feature a flat-screen TV with satellite channels and a private bathroom. At the hotel, the rooms are fitted with a desk and a wardrobe. A buffet breakfast is available every morning at the property. Poitiers Airport is 10 km away. Located in Chasseneuil-du-Poitou, 800 metres from Futuroscope - Main Entrance, B&B Hôtel Poitiers 3 Futuroscope provides rooms with air conditioning. All rooms boast a flat-screen TV with cable channels and a private bathroom. Futuroscope is 800 metres away. At B&B Hôtel Poitiers 3 Futuroscope, every room includes a desk. Guest rooms feature a wardrobe. Guests at B&B Hôtel Poitiers 3 Futuroscope can enjoy a buffet breakfast. The nearest airport is Poitiers-Biard Airport, 10 km from the property. HotelF1 Poitiers Nord Futuroscope offers accommodation in Chasseneuil-du-Poitou. Guests can purchase microfibre towels at the hotel at an extra cost of EUR 3 each. Each room includes a flat-screen TV. Hotel Jaunay-Clan Preferred hotel ! Futur Hôtel is a modern property offering free WiFi and a drinks vending machine, a 10-minute walk from the Futuroscope theme park. The continental breakfast includes pastries, yoghurt, cheese, fruit and fruit juices. There is a traditional restaurant 50 metres from the hotel. The bedrooms at Futur Hôtel have a large flat-screen TV, air conditioning and a private bathroom with a hairdryer. Many rooms have views of the Futuroscope. Poitiers Airport is 7 km from the hotel and the A10 motorway is 1 km away. The property offers free parking. This hotel is situated in Jaunay-Clan within a 2-minute drive from Futursocope Theme Park and 500 metres from Gare du Futuroscope Train Station. It offers free Wi-Fi access. All guestrooms at the Fasthotel Poitiers Futuroscope are equipped with private bathrooms and satellite TV. A continental breakfast is served daily. A 9 and 18-hole golf course is situated nearby. Free parking is provided at the Fasthotel Poitiers Futuroscope. It is a 3-minute drive to motorway A10, 15 minutes from the city centre of Poitiers, and 10 minutes from Saint Cyr Leisure Centre. Located 1 km from the Futuroscope Attraction Park and 1.5 km from the exhibition centre, ibis Budget Poitiers Nord offers air-conditioned rooms with a flat-screen TV. Free WiFi access is provided throughout the hotel. 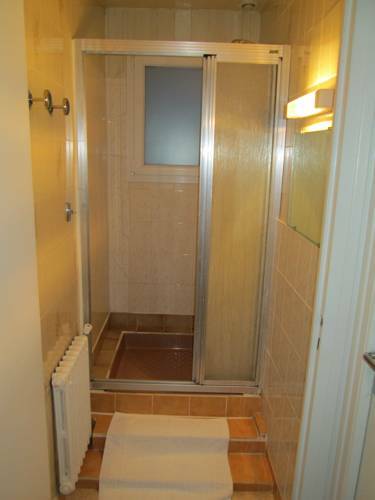 The soundproofed rooms at ibis Budget Poitiers Nord have a private bathroom which is fitted with a shower. A buffet breakfast is available every morning. A French restaurant is located 10 metres from the ibis Budget Poitiers Nord. The hotel is 10 km from the centre of Poitiers, 2.5 km from Futuroscope Train Station and 10 km from Biard Airport. A free private car park is available on site. Located in Nouaillé-Maupertuis in the Poitou-Charentes region, Holiday Home Nouaille Maupertuis Rue De Grand is a 3-star property boasting free WiFi. Guests staying at this holiday home have access to a fully equipped kitchen. The holiday home has a TV and a living room. Poitiers is 13 km from the holiday home, while Chasseneuil-du-Poitou is 25 km away. Poitiers-Biard Airport is 19 km from the property. Below here is the hotels map of Bonnes. Names and details of Bonnes hotels can be shown on the map clicking on the prices icons.